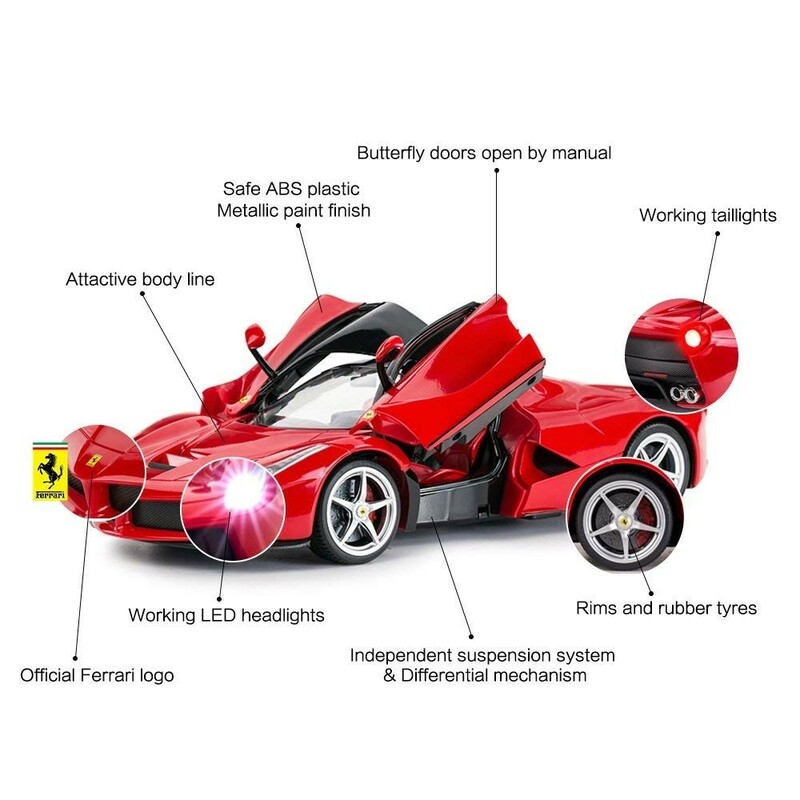 Top tier performance remote control accompanied by 1/14 scale detailed replica of Ferrari LaFerrari. 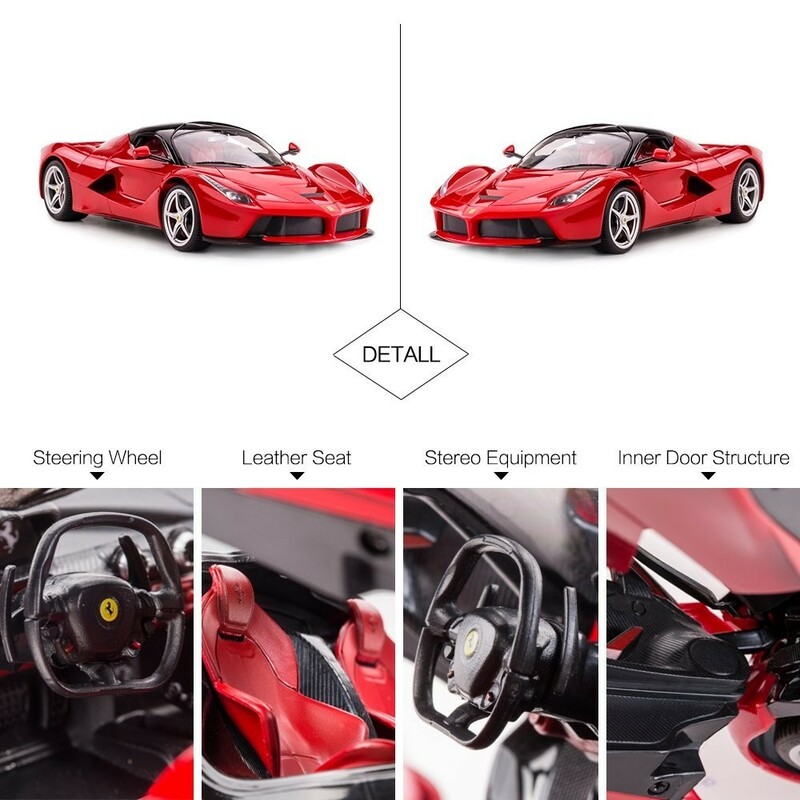 Subtle functions of toy car; butterfly doors with full motion for authentic feel. Remote range of up to 98 feet for more speedy fun taking over any surface for your toy car. 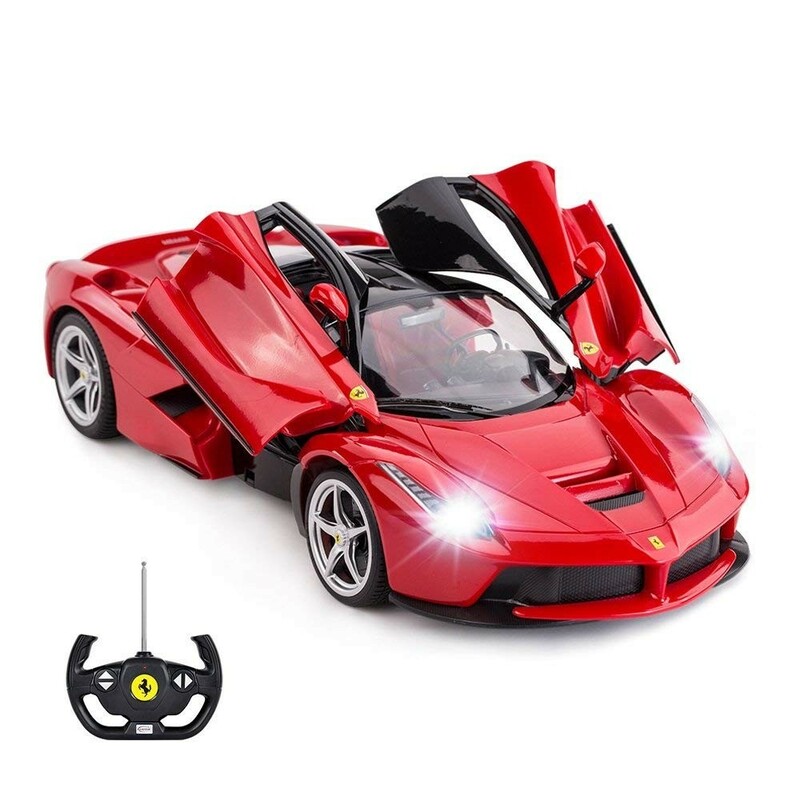 Factory assembled for your convenience to get right into a top notch luxury RC Sport Car. 1:14 scale toy car measures 13.3" x 5.9" x 3.3"
Differential mechanism, rims and rubber tires, stereo equipment, steering wheel, leather seats and etc. Made of top-grade ABS plastic to prevent scratch and protect kids.